St George’s Day include England, Portugal, Cyprus, Greece, Georgia, Serbia, Bulgaria, Romania, Bosnia and Herzegovina, and the Republic of Macedonia. Cities include Moscow in Russia, Genova in Italy, Ljubljana in Slovenia, Beirut in Lebanon, Qormi and Victoria in Malta and many others. It is also celebrated in the old kingdoms and counties of the Crown of Aragon in Spain—Aragon, Catalonia, Valencia, and Palestine. 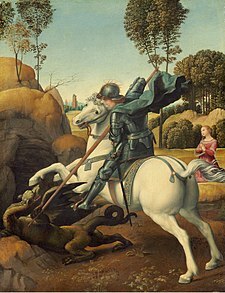 St George’s Day is known as the Feast of Saint George by Palestinians and is celebrated in the Monastery of Saint George in al-Khader, near Bethlehem. It is also known as Georgemas. Besides the 23 April feast, some Orthodox Churches have additional feasts dedicated to St George. The country of Georgia celebrates the feast St George on 10 November (Julian Calendar), which currently falls on 23 November (Gregorian Calendar). The Russian Orthodox Church celebrates the dedication of the Church of St George in Kiev by Yaroslav I the Wise in 1051 on 26 November (Julian Calendar), which currently falls on the Gregorian 9 December. Fathers Day Festival is celebrated on different dates in different countries. Most countries including US, UK, Canada, Chile, France, Japan and India celebrate Fathers Day on the third Sunday in June. President Richard Nixon declared the date of Father’s Day festival in US in 1972. Though the date of Father’s Day is not fixed in countries around the world and even the manner of celebrations differ in several countries but everywhere the spirit behind the celebration of festival is just the same. All over the world people celebrate Father’s Day to honour their father and express love for them. To celebrate the occasion of Father Day children give cards, flowers and other gifts of love to their father. In Brighton for the first time ever! Neuro Hypnotic Repatterning is the latest of 3 areas of work developed by Dr Richard Bandler. It has recently been newly certified and licensed by the Society of NLP. This very special qualification recognises the unique nature of NHR and those people who utilise this powerful process to change their lives and the lives of others. What is Neuro Hypnotic Repatterning? Dr Richard Bandler says that this is the closest he ever comes to teaching other people how he actually works with clients himself. NHR uses the hypnotic process to restructure experiences that people have at the neurological and chemical level. Instead of teaching people to lead with their minds, NHR teaches you to lead with your feelings. You learn to saturate your neurology with the chemicals that make us feel good. Because if you get your whole body in the right state there’s just about nothing that human beings can’t do. The only question is how much pleasure can you stand, how much excitement can you stand, how much success can you have? What is the difference between NLP and NHR? The difference between NLP and NHR is not in the techniques but the outcome which is different. Instead of teaching people to lead with their minds we are teaching people to lead with their feelings. We are saturating our neurology with the chemicals that make us feel good. Practitioner courses give people great techniques and great language skills. This workshop is the format around which these things become immensely more useful. No previous experience in NLP is necessary to benefit from NHR. It is a good place to start learning as it is easier to learn than NLP. For more advanced practitioners, it enables you to create more profound and lasting change for your clients. The difference is between programming and repatterning!! Altered States Shamanic States and Basic Brain Exploration! Throughout history and across the world humankind has sought ways of exploring their inner worlds. Through meditation, ritual, music, energy and trance people have found different ways of experiencing different realities and altered states of consciousness. Richard Bandler has studied for many years with Shaman and spiritual leaders from many cultures. Combine this experience with his unique understanding of the neurology and chemistry of the human brain and body and we have a remarkable opportunity to explore. Richard has agreed to share with us his knowledge of altered and shamanic states of consciousness This workshop is not about theories or explanations, you experiment and experience the exciting world of your own brain. has always been and remains at the very forefront of new technologies. for the Society of NLP and a Licenced Master Trainer of NLP. She works closely with Dr Richard Bandler promoting his work. NLP House Party was designed to make people aware of Neuro Linguistic Programming. This is not done in a traditional educational way but in a way that the party goers can see the magic of NLP for themselves. Not designed to educate but designed to capture imagination. The way that children learn. Stories and participation are abundant at NLP House Parties! At the Party (and that is a hypnotic suggestion) Party Goers play along with the hosts. They see immediate changes in other Party Goers and themselves. This is the Wow factor! Create your own adventure because experience is all that there is.